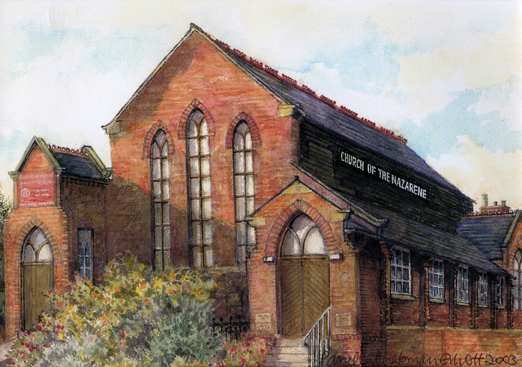 Welcome to The Sheffield Church of the Nazarene and The Grapevine Centre | IT'S HAPPENING IN HEELEY! vision is to place the Church firmly at the centre of the local community: to bring the Church into the Community and the Community into the Church. Upstairs, on Fitzroy Road, there is a Church where all are welcome to come and worship at either 10.45am or 6.00pm every Sunday. Downstairs, on Northcote Road, there is a thriving Community Centre that is busy with children’s and youth clubs, a toddler group and a luncheon club. We also hire out rooms to community groups who use the Centre to run all sorts of sporting, social and leisure activities. Many children have enjoyed their birthday parties in our hall! Please phone or call-in if you are interested in finding out more. For example, are you are interested in joining a club, hiring a room, or looking for a wedding venue? Or maybe you would just like to find out more about Christianity or to come to Church. All enquiries welcome. We are located on Fitzroy Road/ Northcote Road in Heeley, just behind The Post Office. Contact: Revd Bruce Lloyd 0114 258 0845 (Minister), or Sophie Peel-Yates 0114 258 0845 (Administrator).